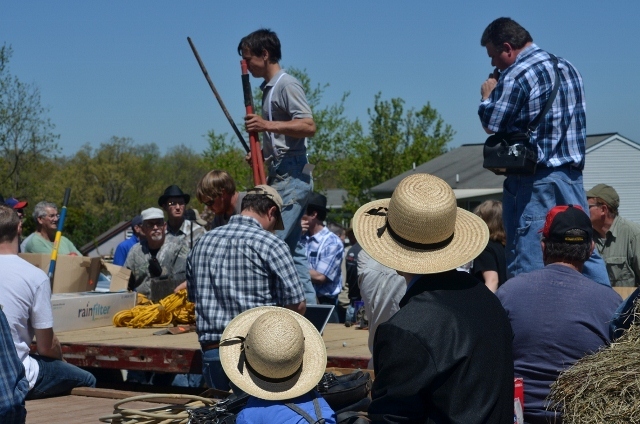 We stopped by the annual auction at the Fivepointville Firehouse last weekend. 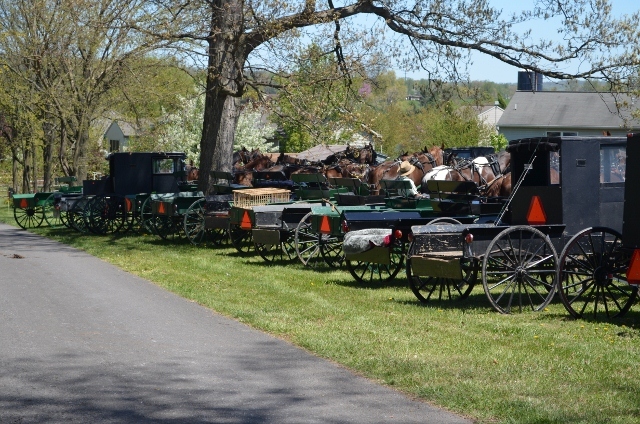 There was an abundance of farm and garden equipment for sale, along with household materials, bicycles and buggies. 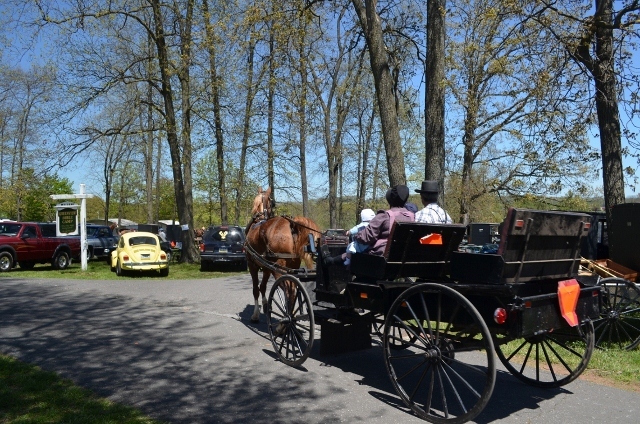 There is a large Old Order Mennonite community in the Fivepointville area plus Amish so many people arrived by buggy or bicycle. It was a beautiful spring day to enjoy the action. 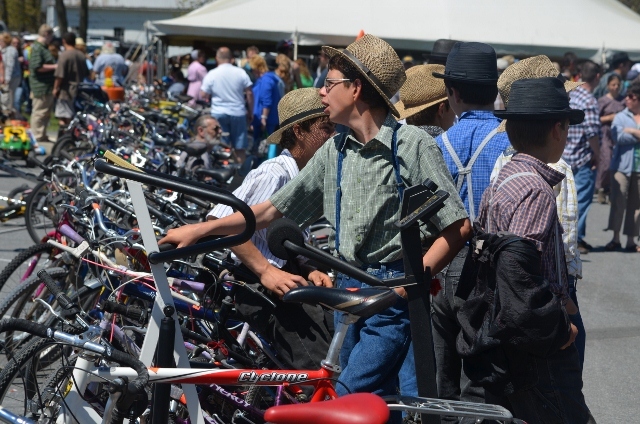 Old Order Mennonites ride bicycles in addition to using the black buggies (Amish do not ride bicycles). 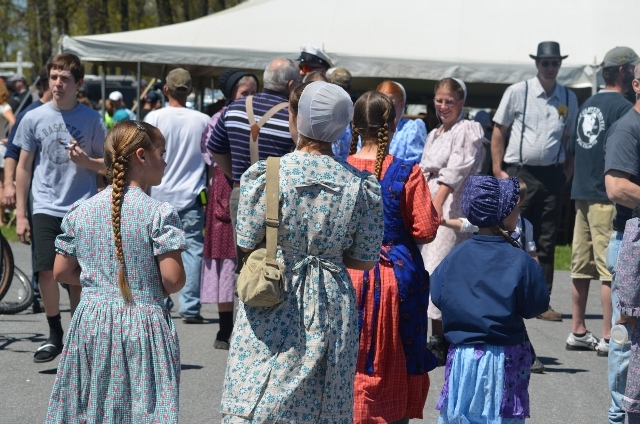 While Amish only use solid colors in their clothes, Old Order Mennonites dress plain but use small prints and different styles. Head dress is also different between the two groups. 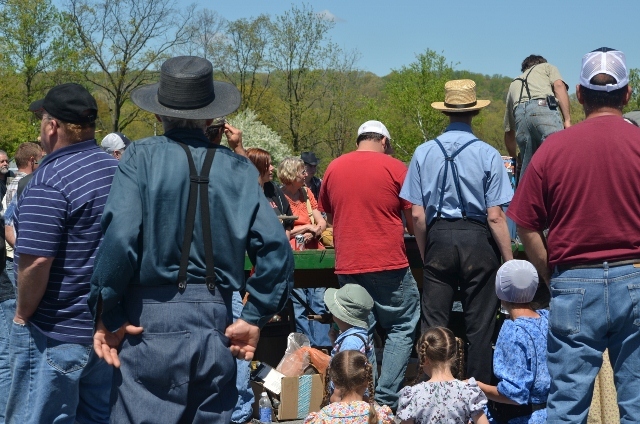 The round large brimmed straw hats in the top picture are Amish, while the black and natural straw hats with the more narrow brim are Old Order Mennonite. Don’t you love girls with braids? People arrived using all types of transportation. 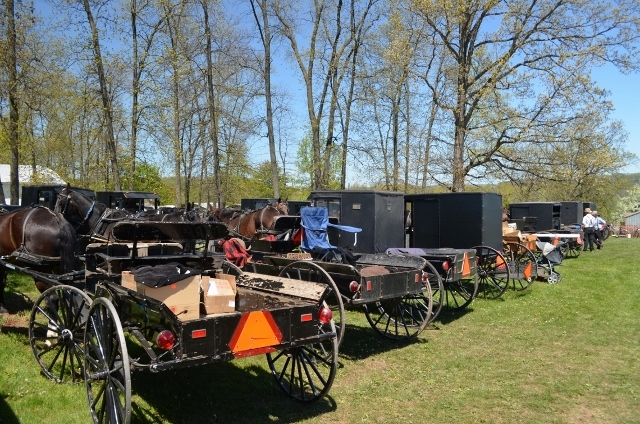 In general the black buggies are Old Order Mennonite and Pennsylvania Amish buggies are gray. 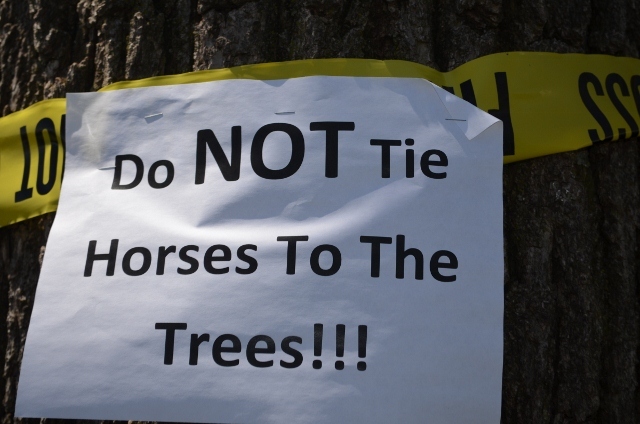 And a reminder to the buggy drivers! Wow what a great day you must have had! Super photos too! 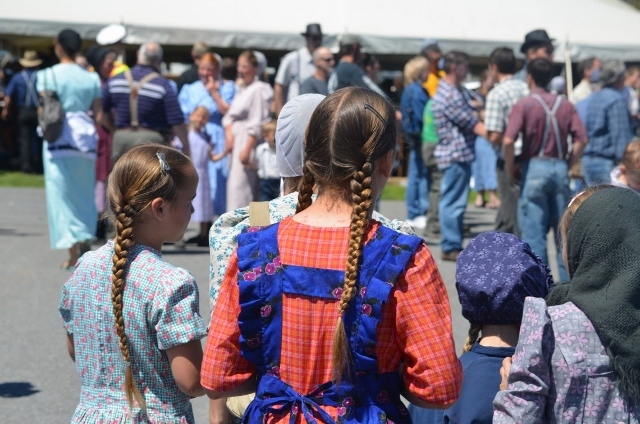 Hi, I came across your blog while doing an image search for Mennonite men in hats and I was wondering if you would allow me to use that second picture on my blog? Yes, that will be fine. Glad you stopped by! Thank you. I appreciate that–I’ll give you credit for the photo.